Although a new set up, our opponents are a well known quantity to the maroon and golds, having played them both home and away last season. Both times the home team took the honours; Clitheroe winning 22-12 back in October on a very muddy Littlemoor surface (a thing of the past?) but loosing out in a hailstorm on the return match 25-17 in March. So Captain Dickenson will be looking to emulate the 2nds initial victory from last week to get the new season off to a solid start. The 2's travel to Preston Grasshoppers to face their 4ths (hopefully.) Hoppers are always a tricky side to play at Lightfoot Green and Captain Kirk's men will have to crank it up for the weekend. On Sunday the Senior Colts are travelling to West Park at St Helens for a 2pm kick off. Good Luck to all in Maroon & Gold on the Weekend. 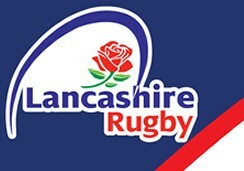  This Weekend at the Club The 2nds take on Fylde , England on TV and Colts on Sunday New butty menu anounced ?